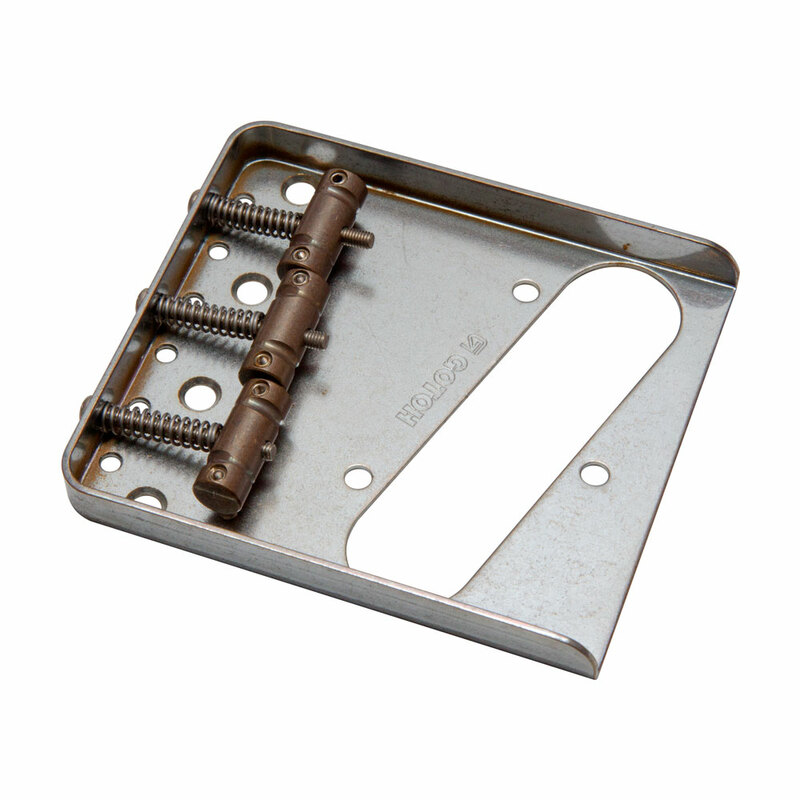 Gotoh's BS-TC1 bridge has the vintage Fender Telecaster look with improved saddles and intonation. They still feature traditional 2 string per 'barrel' saddles, but the compensated saddles have groves cut in them that stagger the break point of the string (so for example the b string starts vibrating further back than the high e string as normal for correct intonation). The saddles are also all reversible, flip them over and there is an extra set of groves but the position of the break points is swapped over, the brass saddles are also height adjustable. The string through body anchoring and 4 fixing screws (included) provide maximum sustain and sound transmission to the guitar body. Complete with all the mounting holes for Telecaster style bridge pickups.